Product prices and availability are accurate as of 2019-04-10 22:16:28 EDT and are subject to change. Any price and availability information displayed on http://www.amazon.com/ at the time of purchase will apply to the purchase of this product. 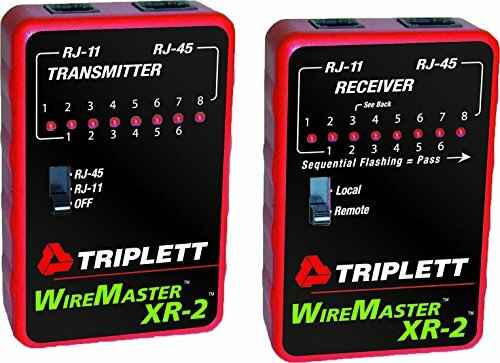 The Triplett WireMaster XR-2 is an easy to use LAN cable test kit with custom test functions. 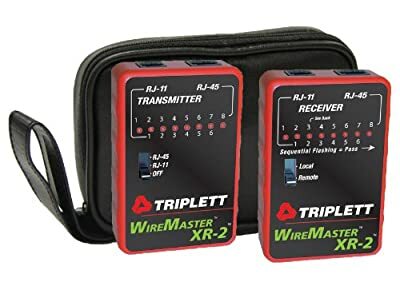 It verifies point-to-point wiring of twisted pair LAN cables, telephone cables, and other types of cables that use RJ-45 & RJ-11 connectors. With remote it allows testing of long cable runs up to 1000 feet. 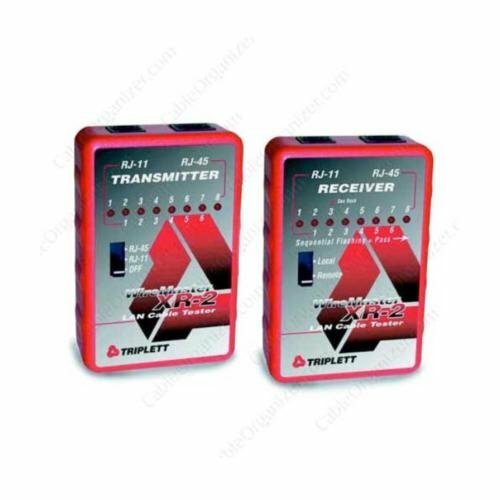 The XR-2 is well suited for a variety of industrial and residential applications such as security, electrical, installations and more. Founded in 1904, U.S.-based Triplett Test Equipment continues to be on the leading edge of specialized testers. Whether supplying vital test equipment to the U.S. Signal Corps during WWII, or providing the railroad industry with essential testers to ensure the safety of their crews and the public, Triplett prides itself in developing innovative, reliable, and durable test equipment for every technician--that also won't break the bank.